UVM Extension Forest Business has added a new tool to the digital resources available to forest products businesses. 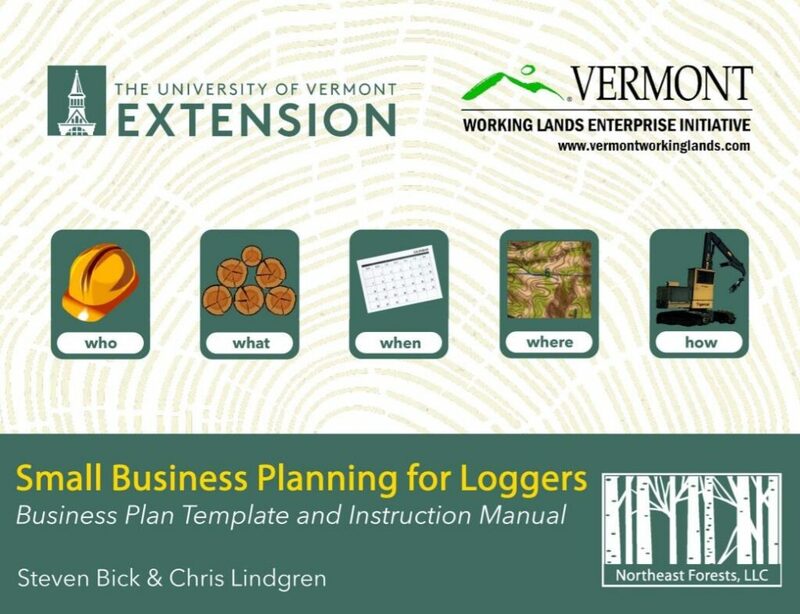 Small Business Planning for Loggers was produced by Steve Bick and Chris Lindgren with support from Vermont’s Working Lands Enterprise Initiative. Forest Business has been supporting digital tools and skill development in our work for five years now. Whether it’s bringing bookkeeping to the computer or online, using video conferencing for meetings, developing digitally based tools, or collaboration in cloud-based applications, acceptance of digital tools is increasingly becoming the norm with the business owners who engage in our program. This morning as I was working on this blog I read a press release about a new report on digital skills development in rural America—Unlocking the Digital Potential of Rural America. Commissioned by Amazon and researched by the US Chamber of Commerce the report concludes that the adoption of new digital skills and technology in rural America will lead to significant economic gains. I completely agree. This is a huge opportunity for Vermont. Vermont’s small businesses have much to gain by developing digital know-how and adopting digital tools. Forest Business will continue to support development of digital skills and tools for Vermont’s forest economy. Stay up to date on Forest Business programs here. Do you have thoughts on digital skills education? Please take a moment to fill out our educational resource assessment survey. Thank you. 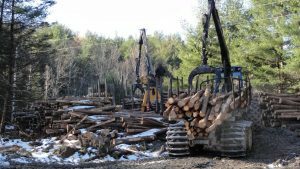 UVM Extension will offer this free workshop for logging companies on November 7th (Rutland, VT) and November 8th (Hardwick,VT). Presentations will cover a range of topics from industry updates to marketing strategies and include new presentations not included in past years. Presenters include: Sam Lincoln (VT Dept of Forests, Parks & Recreation), Paul Frederick (VT Dept of Forests, Parks & Recreation), Chris Lindgren (UVM Extension), Christine McGowan (VT Sustainable Jobs Fund) and Steve Bick (Northeast Forests, LLC). Learn more about the program and how to register! Farm First is a free and confidential program available for Vermont farm owners and family members seeking assistance on a personal and workplace issues. The program can provide assistance when dealing with farm labor issues that are difficult to resolve on your own. The program can also provide confidential counseling services related to stress, anxiety, depression,addiction and other situations where the guidance of a professional is needed. The program is available to farm owners and related family members involved in the business. Farm owners can also consider if they want to enroll in expanded employee assistance programs (EAP) to make similar services available for their employees at a very low cost. Through CSP, participants take additional conservation steps to improve the resource conditions on their land, including soil, air and habitat quality, water quality and quantity, and energy conservation. Make this the year you bravely step into the world of farm finances! With two top-notch ag financial management specialist to lead the way, Intro to Ag Financial Management will help you approach farm finances with confidence. This course provides farmers with the knowledge they need to understand and complete a balance sheet, income statement and cash flow statement. Participants will learn the basics of budgeting and skills to anticipate the financial needs of their farm operations. Participants can choose to participate in a clinic with one‐to‐one assistance at no additional charge. Classes will be offered simultaneously in Rutland and Berlin, Vermont, with an on-site instructor at each location. Course fee: $150. Registration discounts are available for people who have completed Growing Places and for two or more people attending from the same farm/business. Scholarships are also available. For more information and to register visit http://www.uvm.edu/newfarmer and click on “Classes.” You can also email or call Heidi Krantz at newfarmer@uvm.edu, 802-223-2389 x 203. The USDA has extended the application deadline for the Dairy Margin Protection Program to December 19th. Milk price forecasts are showing significant decline in prices over the next several months. Bob Parsons, University of Vermont Ag Economist, has shared these figures below that show the probability of margins dropping below various coverage levels…. UVM Extension’s new How to Determine the Right Farm Rental Rate Guide was developed to support both farmers and landowners through the process of determining a fair cash rental rate for farmland, equipment and infrastructure in Vermont. In the fall of 2012 University of Vermont Extension distributed a survey to a group of small grocers asking about chicken and egg demand in their stores with a focus on regionally-produced products. Follow-up phone interviews were conducted through the fall of 2013 to get additional feedback from the buyers in these stores. The goal of this work is to understand the demand for local poultry products and to also provide guidance for poultry farmers preparing to conduct their own market research. 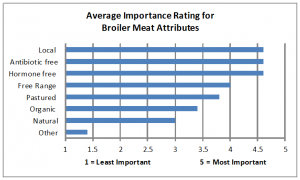 The reports provides details about which attributes consumers are looking for in poultry products and also the specific service expectations that small grocers have for farms selling them them poultry. USDA Farm Service Agency recently announced that disaster assistance for 2012 fruit crop losses in available in 3 Vermont counties: Addison, Bennington, and Rutland. There is a limited enrollment period, ending 9.22.14.